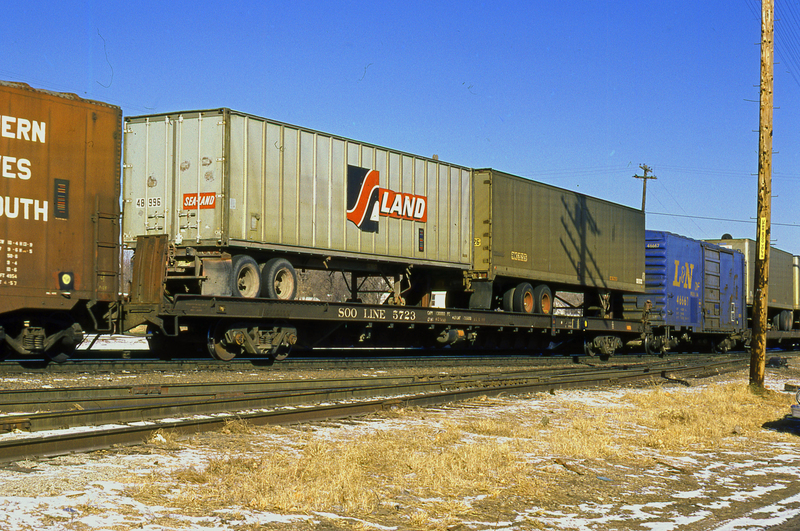 As a kid, I found it thrilling to go to freight yards. You never knew what you’d see. 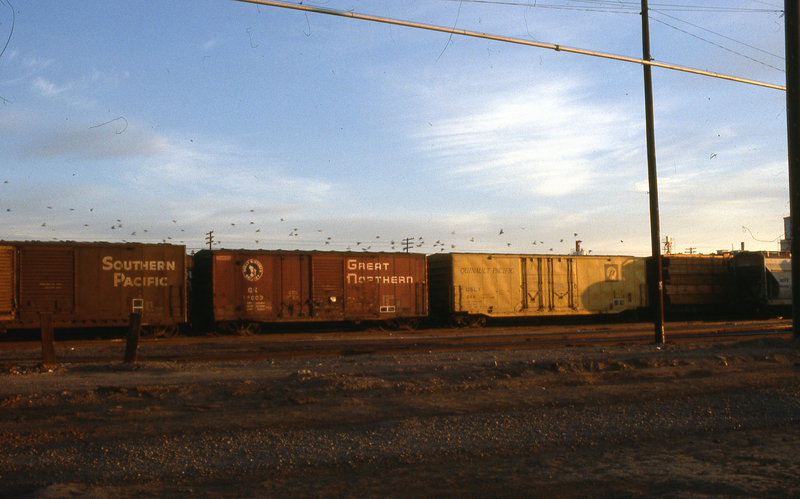 I recently purchased these slides because they reminded me of the feeling I had as a kid upon visiting the ol’ freight yard. Hope you enjoy seeing them too. I love this photo. Three of my favorite railroads all together. The location is unknown but the date is 1977. I imagine the location is California, but the seller did not know for sure. For the purposes of this blog, it doesn’t completely matter. 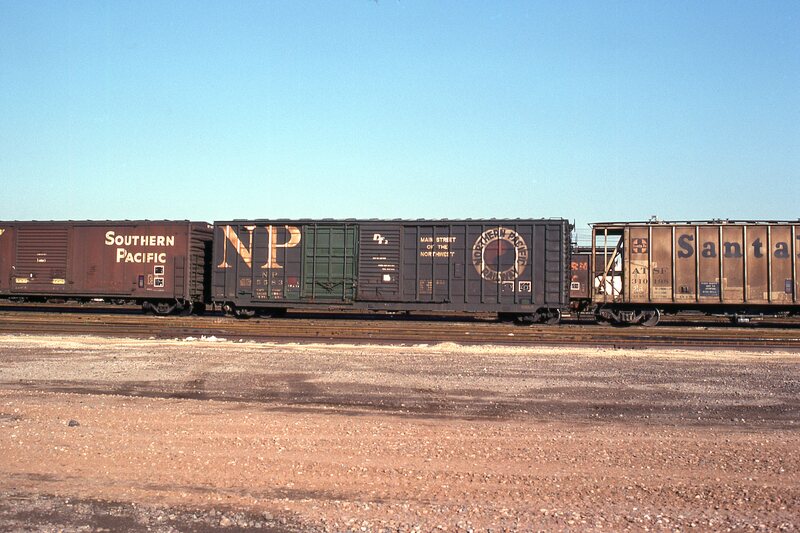 I just wanted to help readers re-live the old school excitement of visiting the freight yard. You have to love the variety and the billboard lettering. For me, the late 1970s and early 1980s is the golden era of railroading. 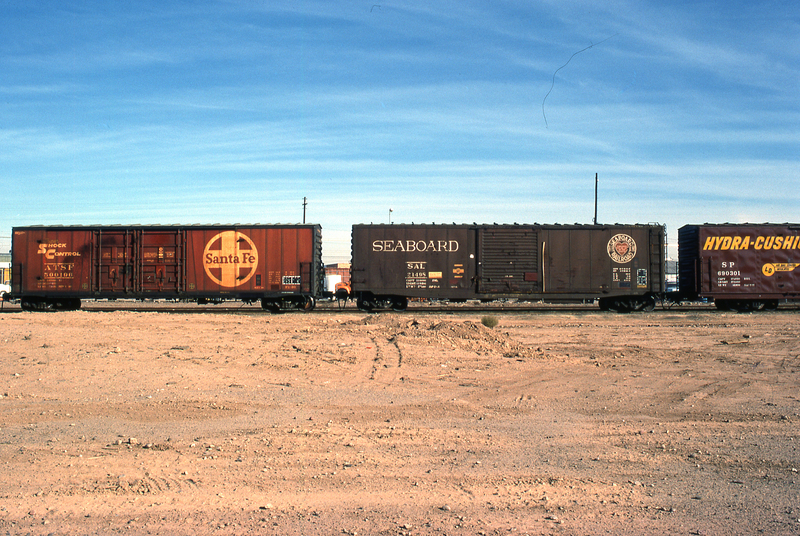 I recently saw a similar Seaboard boxcar spotted in a late-1970s Rockford Files episode. I wrote a post on it. Click here to see it. To raise funds to purchase the scanner and some slides (including the above slides) to supplement my 1978-1981 slide collection (that I personally shot). Purchase a few additional era-appropriate cars and engines for my 1981 era Rail West layout. In part II, I’ll share a few more gems from the late 1970s.